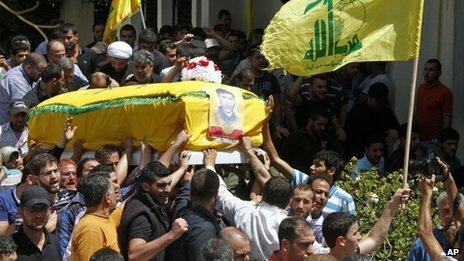 US Secretary of State John Kerry has said the militant Lebanese Shia Islamist group Hezbollah and Iran are helping perpetuate President Bashar al-Assad's "campaign of terror" in Syria. Mr Kerry said thousands of Hezbollah fighters were contributing significantly to the violence. He added that Iran was actively supporting Hezbollah's involvement.